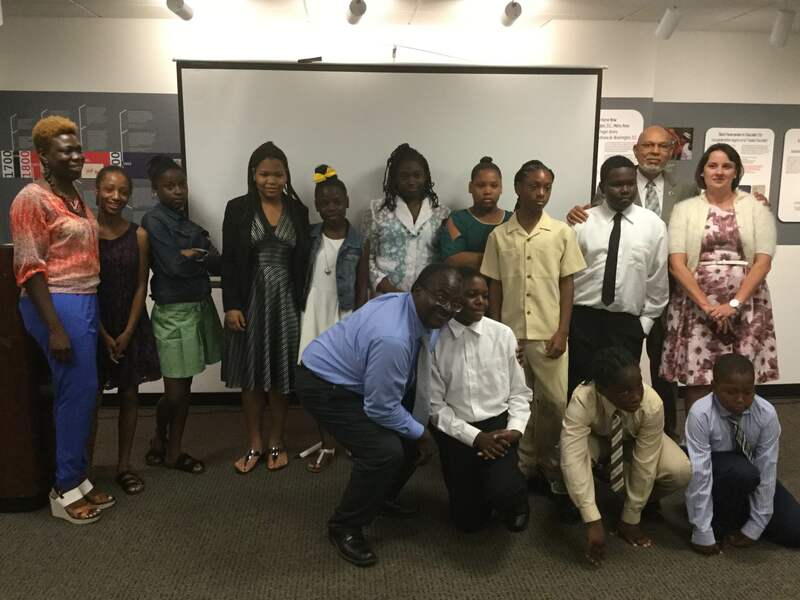 Students in the second cohort of the Urban Ecology Engagement Initiative gather after their presentations. 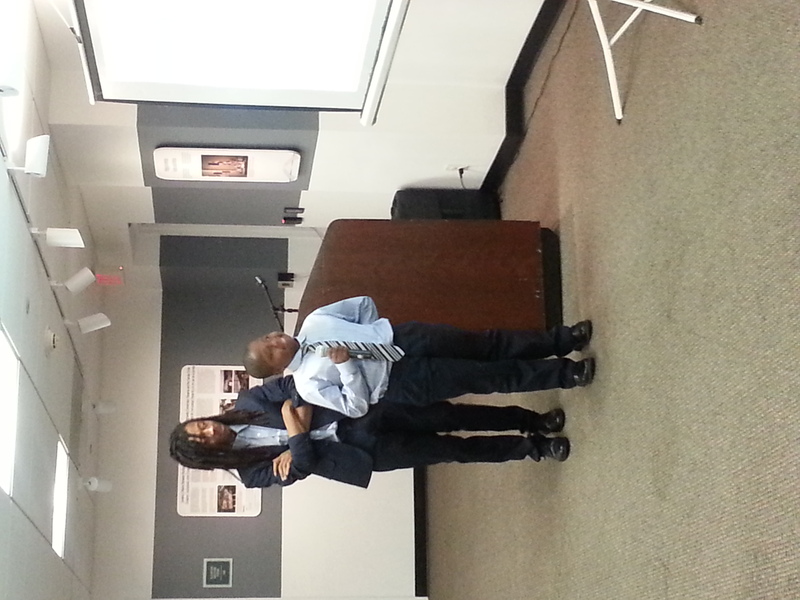 Rising 7th graders at Hart Middle School gathered with family and friends in ACM’s program room to give their first presentations as part of Urban Waterways’ Urban Ecology Engagement initiative. 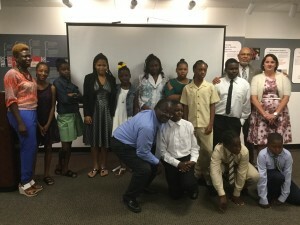 The middle schoolers (cohort2.0) have just completed a six-week summer program made possible by the collaborative efforts of UPO’s P.O.W.E.R program, the Smithsonian Anacostia Community Museum, and the Smithsonian Environmental Research Center. 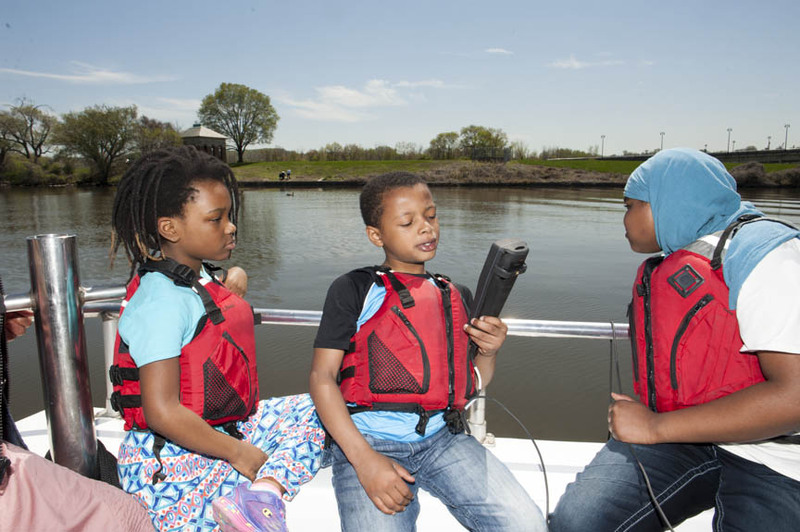 The community stewardship initiative follows students from 7th through 12th grades and engages them in the collection of biological, chemical, and habitat data from five tributaries of the Anacostia River, the development of a database, the exploration of the impact of pollution on the watershed and the development of recommendations and possible solutions. 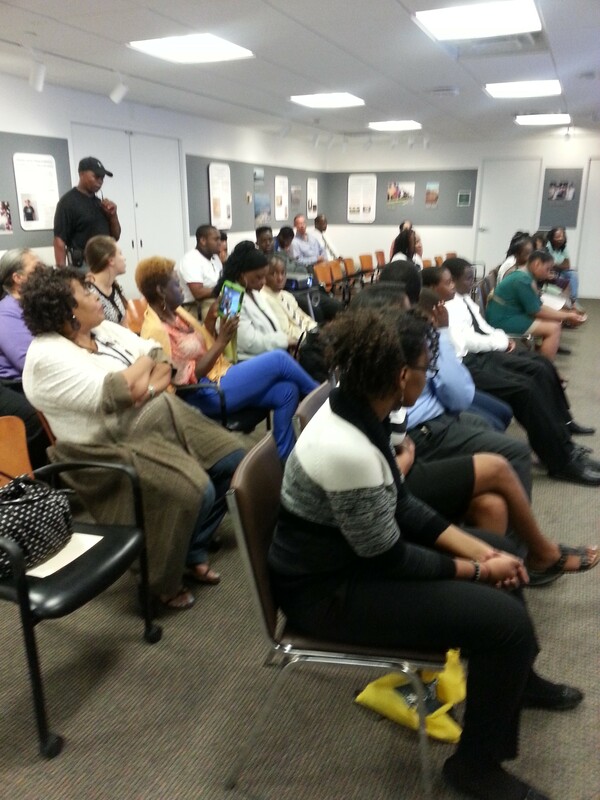 The event started with several members of the previous cohort (cohort 1.0) who are in the final preparations for the start of their freshman year at college. Students will be attending such schools as The University of Pittsburgh, Trinity University, Capitol Technology University, and Virginia State University to pursue degrees in Mechanical Engineering, Telecommunication Engineering, Astrophysics, Childhood Education, and Electrical Engineering. 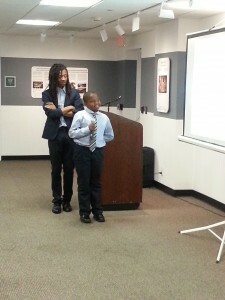 Joseph Smith gets encouragement from a member of the graduating first cohort. Members of the new cohort then stepped forward to present their experiences over the last six weeks. 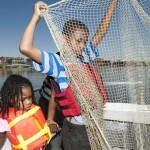 Unlike some of their friends who spent their days swimming or playing basketball, the middle schoolers spent part of their time in classrooms on the campus of Bowie State University. 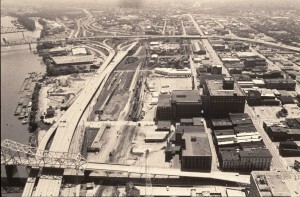 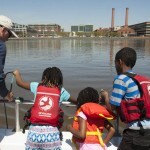 A significant part of their time was spent pushing their boundaries in the exploration of the Anacostia Watershed with boat rides on the Anacostia and Potomac Rivers and field trips to Sandy Spring, MD – a watershed headwater site and a major Underground Railroad depot, Washington Aqueduct, which provides the drinking water for DC, some surrounding counties and DC Water’s Blue Plains Wastewater treatment plant. 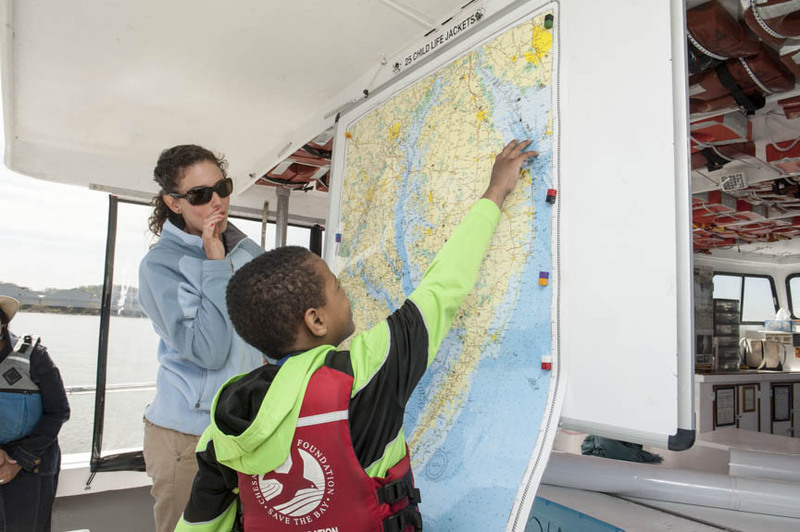 In their presentations, students provided definitions of a watershed, shared their favorite experiences from the field trips, and discussed future career goals. 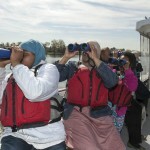 Many were impressed by the boat trips and the wildlife they saw in and along the river. 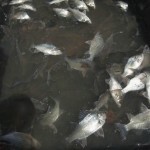 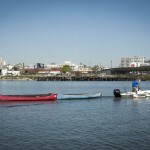 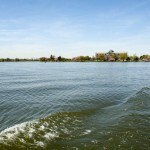 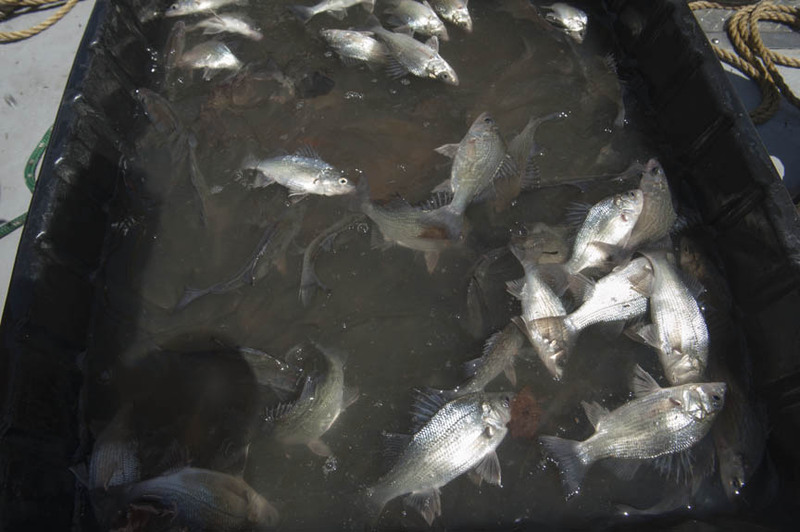 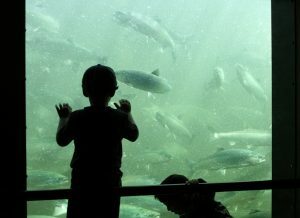 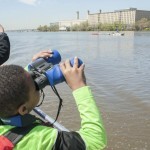 Others were also struck by the amount of pollution they saw floating in the water. 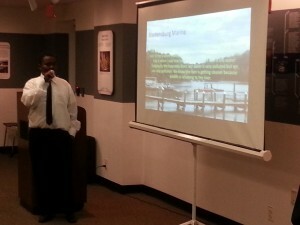 A major question asked by many of the presenters was how can the water be cleaned and the watershed made safer. 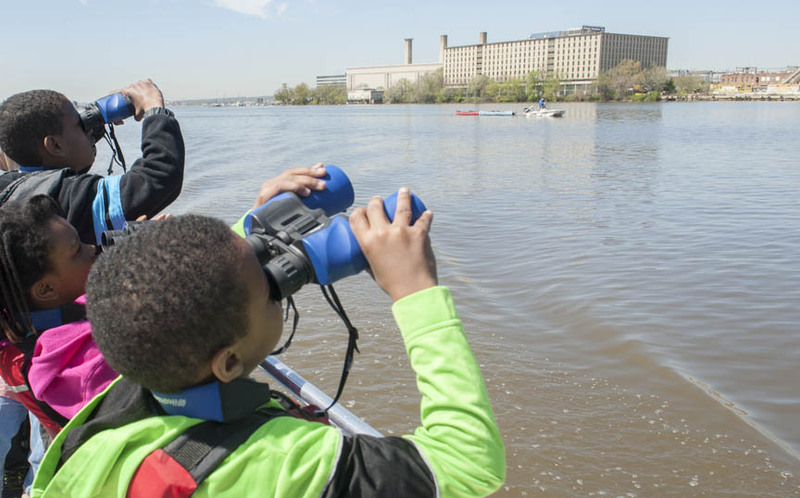 Many students, impressed by their tour of Blue Palins, expressed an interest in pursuing careers in wastewater treatment by obtaining more information on the subject. 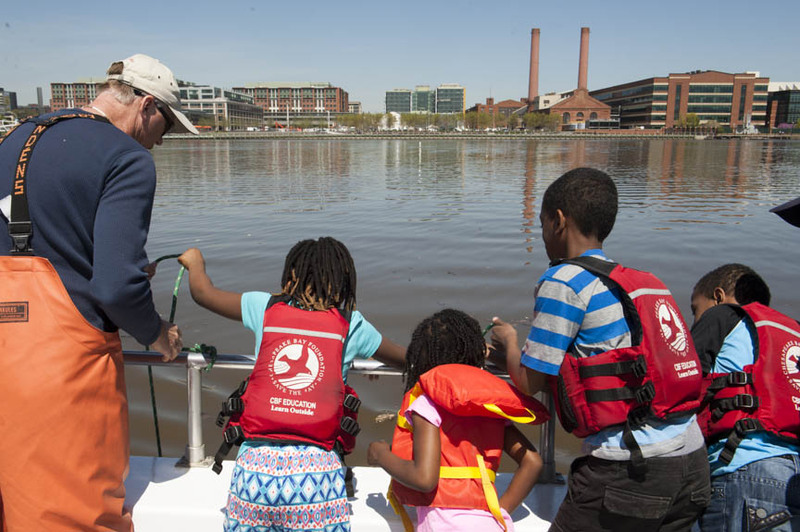 Students will continue their exploration of the Anacostia watershed as the school year continues through a variety of Saturday programming. 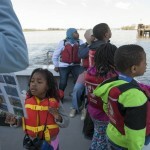 Michael Staton discusses one of the group’s field trips. 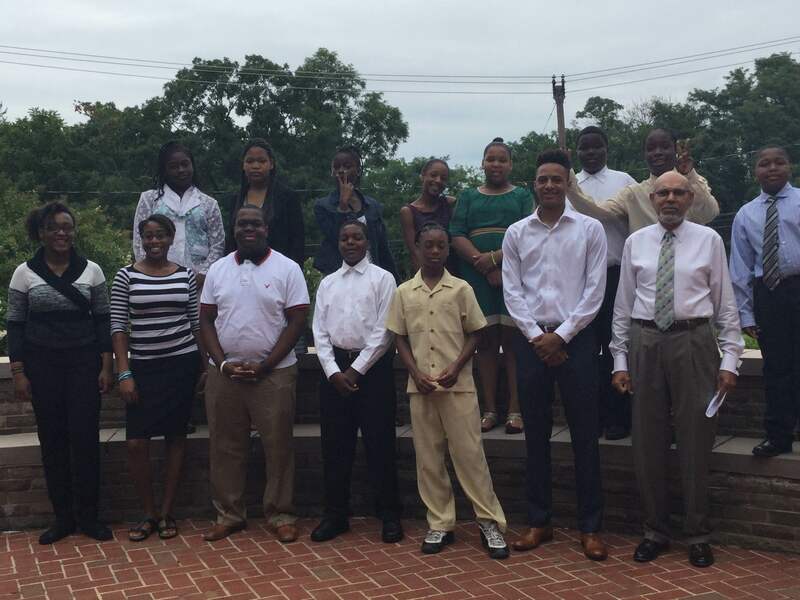 ACM’s Education Program Coordinator Tony Thomas and members of the first and second cohorts. 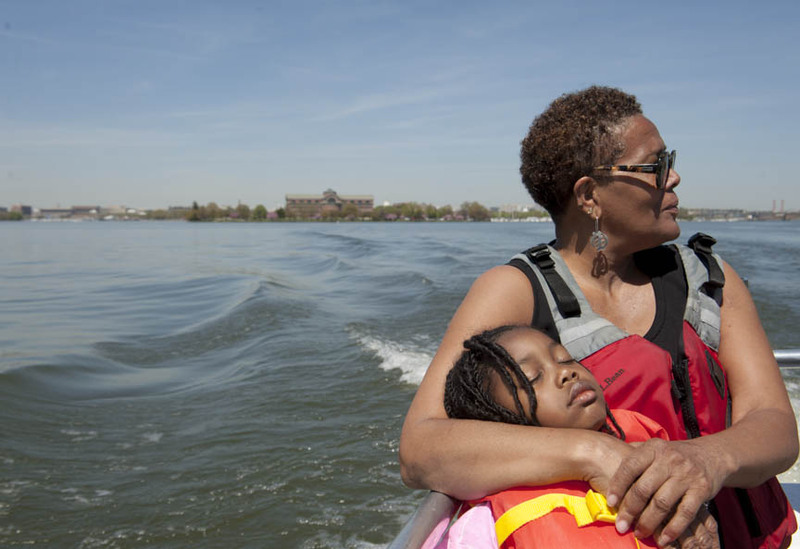 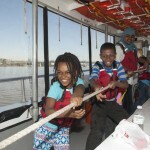 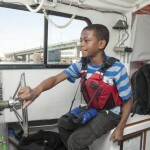 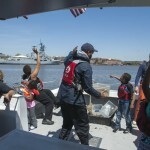 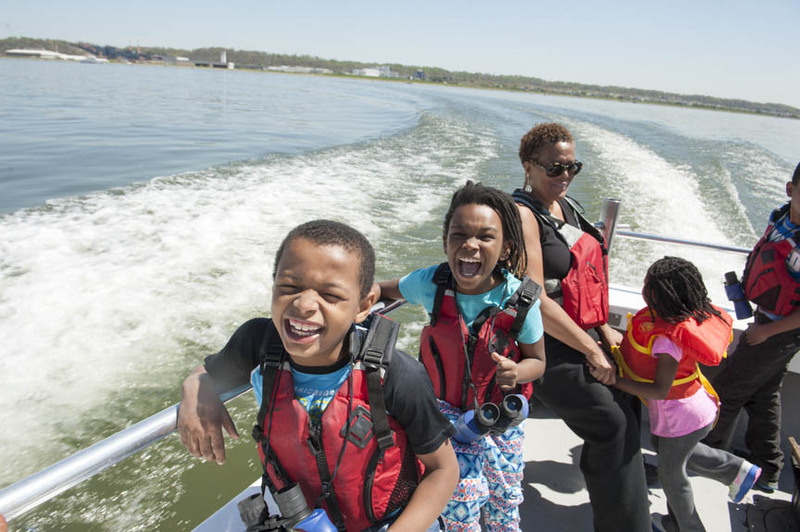 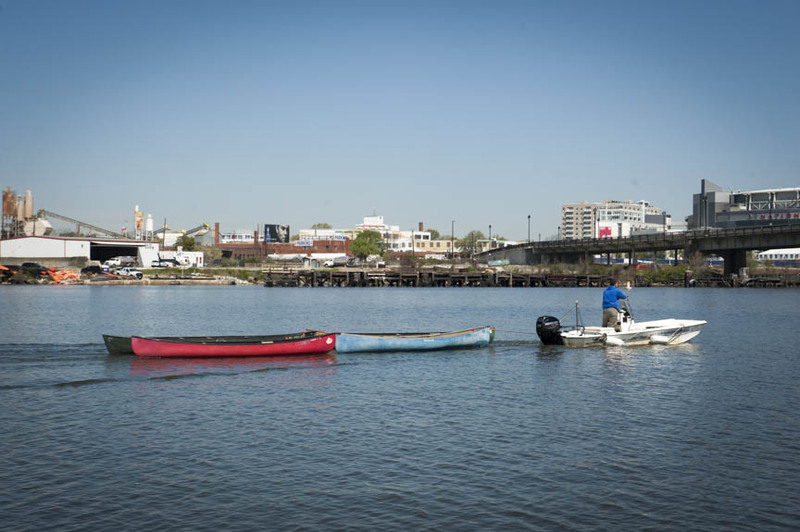 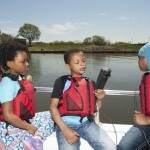 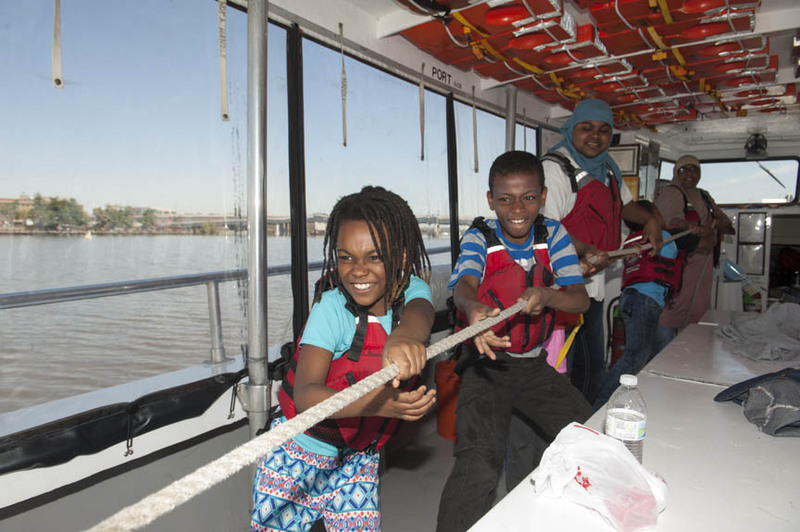 The April 20 voyage of the Sequoia along with the Anacostia Community Museum Academy aboard to learn about aquatic education. 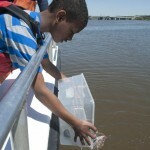 Looking at species of animals found along the river. 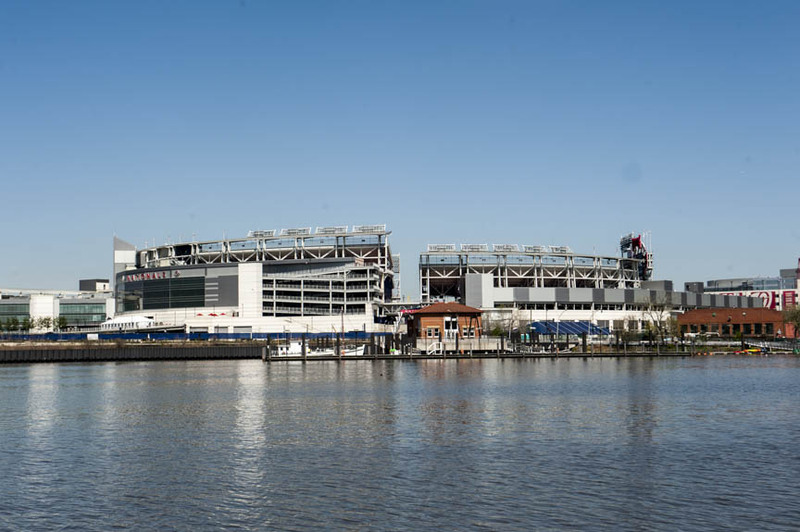 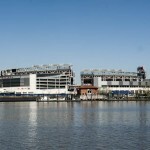 The view of Nationals Stadium from the Anacostia River. 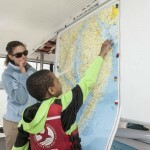 Learning to read maps depicting the Anacostia watershed. 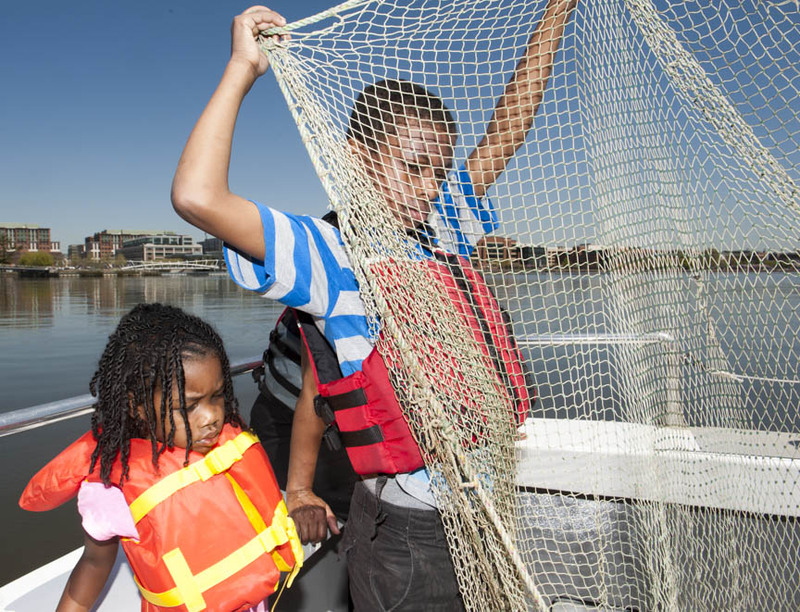 Near the Navy Yard along the Anacostia. 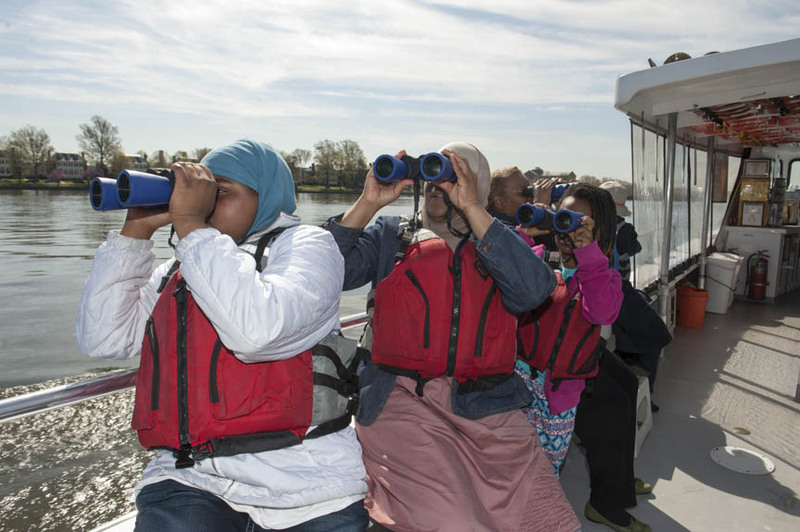 Surveying the wildlife along the shores of the Anacostia. 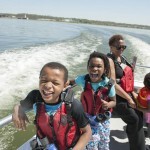 No doubt headed to the Anacostia Community Boathouse, a great place to recreate in warm weather. 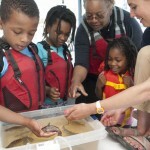 Examining the different species of fish found in the river. 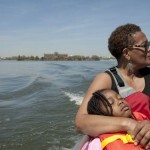 Taking the boat for a ride with the Pennsylvania Ave John Phillips Souza Bridge in the background. 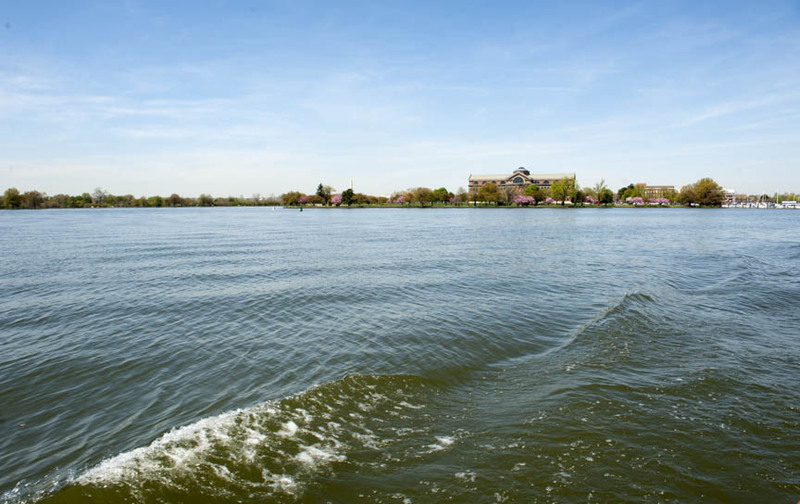 A great view of the War College from the Anacostia. 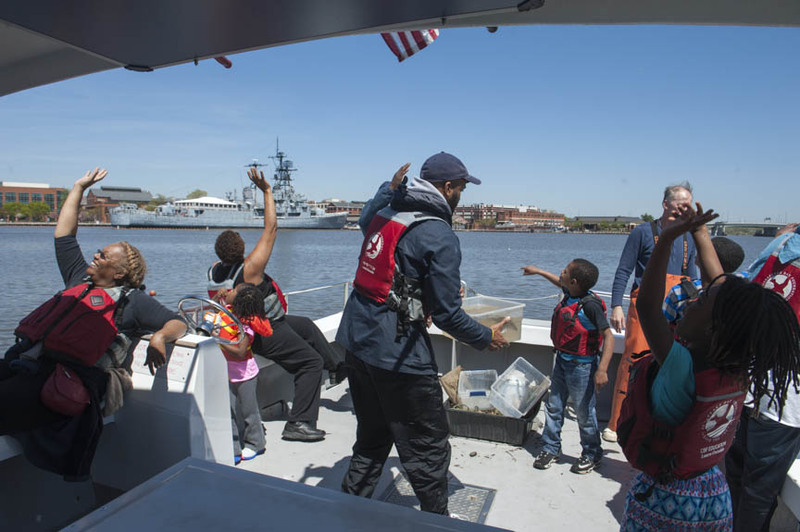 Waving to other boaters and the USS Roosevelt, permanently parked along the Anacostia Riverfront Trail. 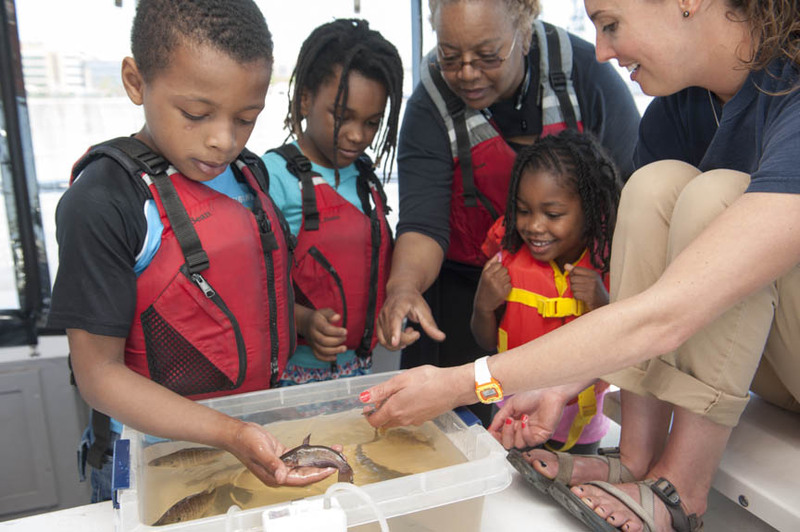 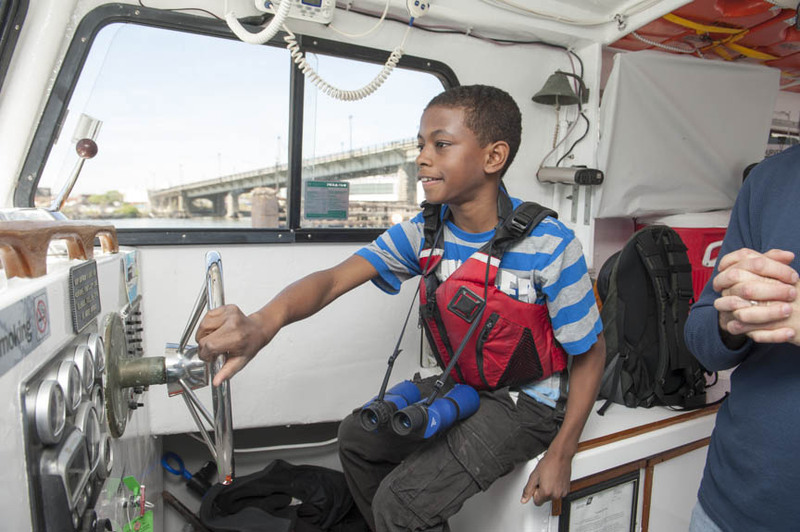 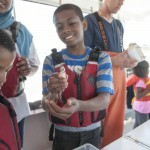 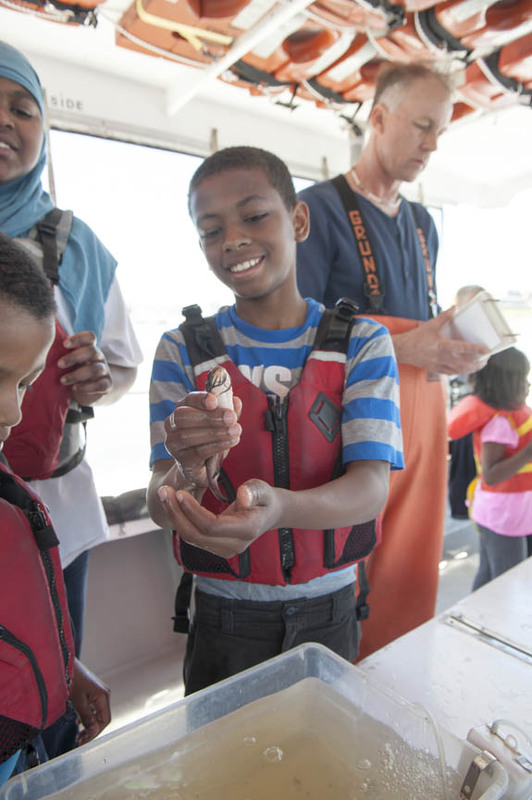 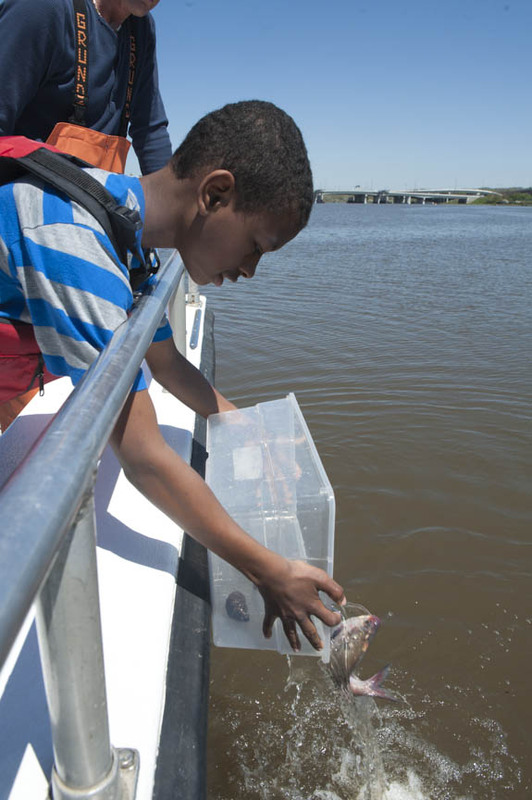 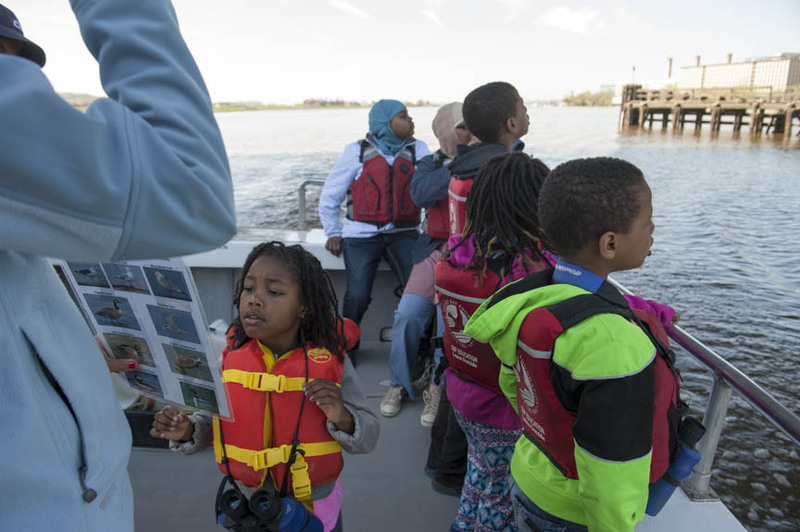 The Anacostia Community Museum Academy enjoyed a day learning about urban river ecology with the Chesapeake Bay Foundation aboard the Sequoia.